Accueil › English › Saint-Georges – A great place to live ! One of the most important advantages Saint-Georges has to offer is the exceptional quality of life that is to be found within the city and the surrounding region. With a population of 33,000, Saint-Georges offers the best of both worlds – a great many of the same amenities that are to be found in much larger cities, combined with all of the lifestyle advantages associated with living in a smaller community. In Saint-Georges, the cost of living is extremely affordable, traffic is unheard of, and most important of all, you’ll meet lots of people who are extremely friendly and welcoming. Plus, for those looking for the occasional outing to a larger city, places like Quebec City (population 700,000) and Montreal (population 1.6 million) are within easy driving distance. Affordable Housing: According to Moneysense magazine, the average value of primary real estate in Saint-Georges is $140,000, and detached homes can easily be found for under $200,000. If you’re looking to rent, apartments are available at prices starting at approximately $500 per month for a two-bedroom unit. Quality Health Care: Saint-Georges is served by a modern 140-bed hospital that offers a full range of family medical services as well as access to specialized care in a variety of fields. In addition, health care services are also provided by a network of clinics located throughout the community. Access to Education: Located within Saint-Georges are several excellent public schools providing education for children at both primary and secondary levels. For students interested in post-secondary studies, college-level education is available through the CÉGEP Beauce-Appalaches. Certain university courses are also delivered in Saint-Georges through partnerships with Laval University and the Université du Québec network. Recreational and Cultural Amenities: No matter how you’re interested in spending your leisure hours, you’ll find that Saint-Georges has lots to offer. 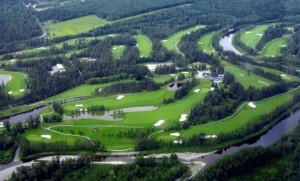 The city is home to several fully-equipped sports and recreational centres, and offers easy access to golf courses, ski hills, and hiking and biking trails. The many lakes and rivers throughout the region are a paradise for boating and fishing. There’s also a municipal library with an extensive collection of books and periodicals, plus a year-round program of festivals, concerts, and other cultural events. Services for Citizens: Saint-Georges offers an extensive variety of public services for citizens that are intended to support an excellent quality of life, and ensure your needs are well-taken care of. The city is served by a highly competent and knowledgeable group of staff members who are dedicated to providing exceptional service to residents. Should you have occasion to visit Saint-Georges, one of the first things you’ll discover is that it is remarkably easy to get around in our city. Many amenities within the downtown core are within easy walking distance, and everything in the entire city is accessible in less than a 15-minute drive. 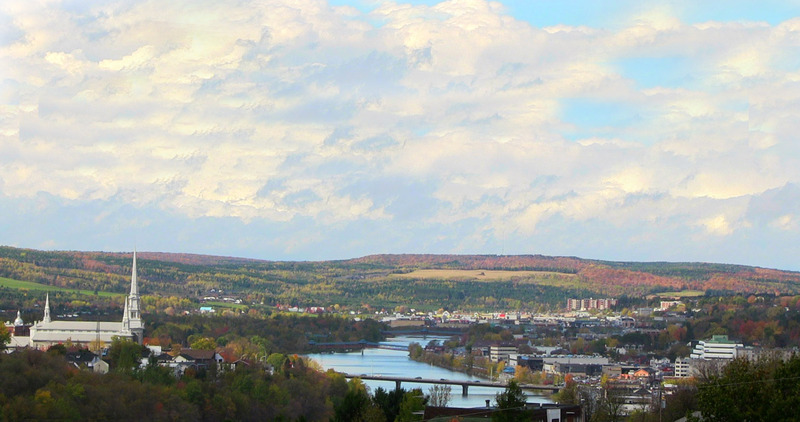 Truly, Saint-Georges is one of the most user-friendly cities of its size that you will find throughout North America. If you’re seeking place to live that is safe, clean, and beautiful, and that offers an exceptionally friendly and welcoming environment, then Saint-Georges is the place for you. We look forward to meeting you, and to welcoming you to our community !